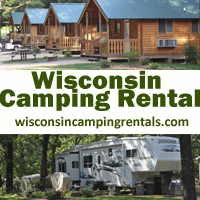 The WBAY RV & Camping Expo will be held January 24th – 27th, 2019 in Green Bay, WI at the Shopko Hall of the Resch Center Complex. 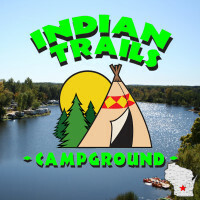 Held over the course of FOUR days, as one of Wisconsin’s largest RV and camping expos and over 50 years in the making, this expo includes exhibits from the state’s finest campgrounds, resorts, tourism groups, educational seminars and amazing entertainment. Your friendly WACO staff will be at Booth 609. Be sure to stop by and grab a 2019 WACO Directory, learn about upcoming events, and if you’re a campground owner, become a member! Gilbert Brown will be at the show on Friday, thanking all those who serve on Military Day and again on Saturday, representing The Gilbert Brown Foundation, signing autographs! Buy Tickets online – tickets in advance are $1 off! Parking – $7.00 and located at Lambeau Field (more information) and can be paid for online at Parking Panda. With over 16,000 annual visitors, the WBAY RV & Camping Expo has a little something for every traveler. Whether you’re seeking extreme camping gear, a new RV, or a looking for that next best place to visit or stay seasonally, this show has it all! Its no secret that this show is located near a town near and dear to every Packer fan…GREEN BAY! Families, groups, couples, and individual tourists come to the city every year for entertainment, arts and culture, gaming, and year-round sports. The expo is located near several dining options within walking distance, but if you are looking to venture out one night, here are some great spots to grab a bite!